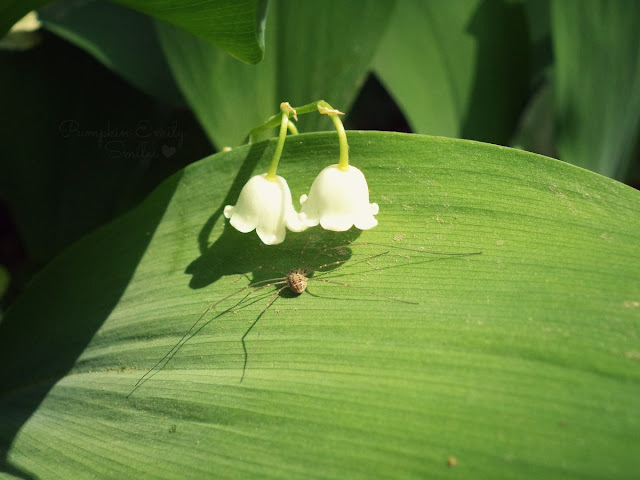 This spider looks so cool sunbathing and hiding under the flowers. The flowers are called Lily of the Valley. I think he's keeping the sun out of his eyes.